When so much of Menorca’s activity can seem to orbit around the city of Mahon, those wanting to settle away from this area can be at a loss for where to start in their search. Looking at areas to the North such as Coves Noves and those to the West such as Es Mercedal and Ciutadella, there is much to benefit both visitors and inhabitants to these locations. Many property owners choose a peaceful countryside villa either as a semi-permanent or holiday location. In this situation, a hire car offers the versatility and mobility to enjoy the whole island. So with the city of Ciutadella a short drive away from central and northern areas, you can enjoy a great authentic Menorcan experience. 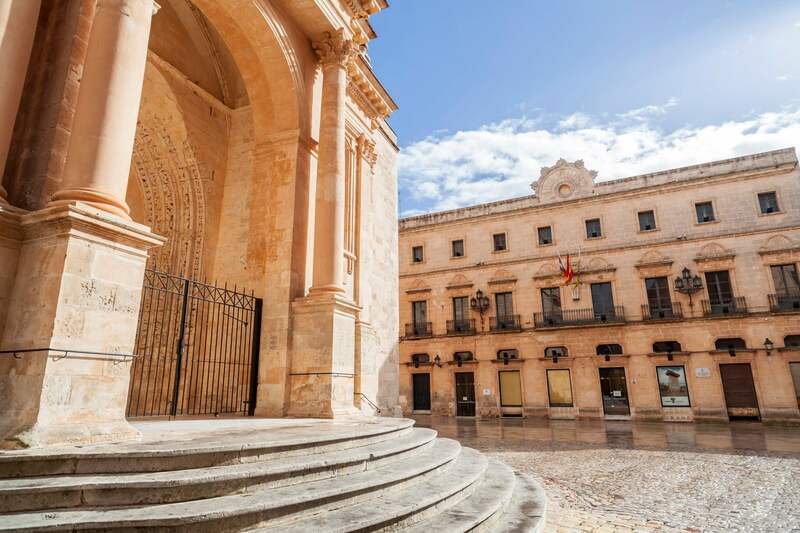 The town of Ciutadella is seeped in history making it the ideal destination for those who possess a rural holiday property with removed peace and quiet. The ease of access to culture and activities within this historic town opens up a wealth of property locations that are removed from Mahon. When you choose to live or stay in the North of Menorca, you could experience more wind than those who reside in the South. The island is flat so it generally tends to be windier than other Balaeric destinations. The Northern wind, or Tramuntana, is traditionally more prominent but should not limit your enjoyment of Menorca. So if you seek activity, it’s best to harness the wind! Windsurfing and dinghy sailing are fantastic sports to try and are plentiful around the North and West. Fornells and Cala En Bosc are great areas to head towards if watersports are your thing. Being a natural port (and a visually breathtaking one at that!) Ciutadella is the place to go to pick up a boat tour to enjoy the Western coastline from the perspective of the sea. Resorts around Ciutadella to the West and Fornells in the North offer tasty and authentic coastal dining. If your property is more inland and you want to avoid a journey, a good selection of restaurants are on offer in Es Mercedal. Heading to Ciutadella port, an evening market takes place every day through the Summer from 7pm. Ferreries also has a night market on Fridays through the Summer. It’s a relaxed way to avoid the heat of the day and pick up some wonderful local craft produce. Weekly markets take place across Menorca so there are options whichever day you decide to shop. Year round the market square in Ciutadella busies itself on Mondays and Fridays. Or go for Mondays and Wednesdays in Fornells and Thursdays and Sundays in Es Mercedal. Whatever the age range of the children, families can’t fail to be entertained at a water park. For this reason, the North and West of Menorca are great destinations for families. Ciutadella is sandwiched between Aqua Center and Aquarock Parque, whilse Es Mercedal to the North is home to the Carmea Splash Park. Ciutadella on the West coast of Menorca celebrates a variety of Fiesta events throughout the year. The annual Fiesta of Sant Joan which is held on 23rd – 24th of June each year, is commonly recognised as being the most spectacular on the island. As Ciutadella is such a historic city, it is home to several museums and cultural centres. Easily and directly accessed from the more remote and tranquil Es Mercedal, you can enjoy relaxed countryside living whilst still being able to visit the city for a cultural injection both in Summer and Winter. The great thing about Menorca is its accessible size. This makes it easy to navigate. So wherever you choose to situate your home, whether for residence or vacation, nowhere is out of reach. Many regular or longer term visitors to the island wish to remove themselves from the holiday scene. For this reason the North and West are ideal. There is so much to discover away from the bustling South.